More than 200 viruses can cause the common cold; infants and children are among the most susceptible. Colds make children feel miserable, but antibiotics aren’t the remedy. Antibiotics don’t work for viruses, only bacterial infections. Does the common myth persist that antibiotics will help relieve cold symptoms? People are getting better about understanding colds are caused by viruses, which antibiotics are not effective against. Occasionally antibiotics continue to be inappropriately requested to treat colds symptoms, so it is important for families to know how to take care of children when they become sick. What medications might you recommend instead of antibiotics? Many cold-relieving medications found at the drug store do not help and can cause harmful side effects in children. Avoid using over-the-counter cold and cough medications. To help with nasal congestion, place a cool mist humidifier at your child’s bedside. Nasal saline spray or mist can be used to help clear out nasal drainage and loosen secretions. Young infants must breathe through their noses, so it is important to suction out nasal drainage to help them breath and eat easier. Children should be encouraged to drink fluids such as water or low-sugar/caffeine-free beverages to help keep them hydrated and replace fluids lost from fevers. Ibuprofen (for children 6 months of age and older) or acetaminophen (for children 2 months of age and older) can be used to treat pain or fevers. These medications are dosed based on weight. Contact your healthcare provider or pharmacist for dosing advice if needed. A teaspoon of honey can be given to children over age 1 for cough symptoms. Topical aromatic oils (camphor, menthol and eucalyptus) have been found in some studies to be safe and helpful for cough but should not be nebulized (put in a humidifier) and should be used with caution in children with skin sensitivity or asthma. Colds can turn into secondary bacterial infections, such as pneumonia or bronchitis, right? In these cases, are antibiotics are recommended? What are the downsides of taking antibiotics when you don’t need them? Antibiotics are not selective. They kill bacteria-causing illness but also wipe out colonies of bacteria in our bodies that keep us healthy. Antibiotics can cause nausea, diarrhea and allergic reaction. They may interact with other medications and can cause susceptibility to other illness such as yeast infection or C. difficile. Most important, the overuse of antibiotics has caused some bacteria to change or adapt so the medication does not work anymore. Common bacterial infections such as skin and urinary tract infections are becoming harder to treat because only 1 or 2 antibiotics remain effective. When kids do need antibiotics, why is it important that they complete the course and not stop taking them when they feel better? Antibiotics should only be taken when prescribed by a healthcare provider. Antibiotics, as with all prescription medicine, should only be taken by the person that it is prescribed to. Families should be reminded to take the entire course of an antibiotic to prevent resistance. Not taking a complete course of antibiotics only wounds the bacteria instead of killing it. This allows the bacteria to adapt to certain medications or become resistant to that medication. Children should be vaccinated on time following the recommended CDC schedule to help prevent serious, life-threatening illness caused by both bacteria and viruses. All children 6 months and older should receive an annual vaccine in late summer/early fall to prevent the influenza virus, which causes illness and death in children every year. Children should be taught to cover their coughs, avoid putting their hands near their faces or in their mouths while at school and how to properly wash their hands (see kidshealth.org for great information for both kids and adults). 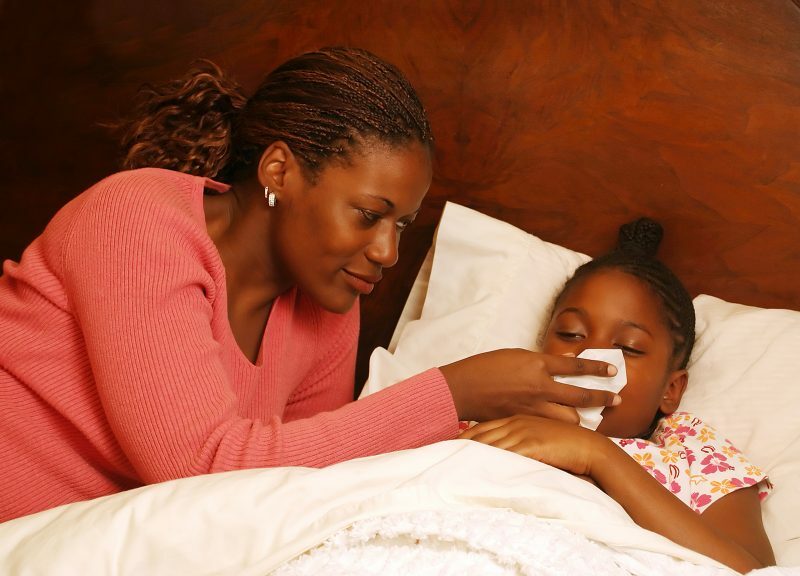 Children should be fever-free for 24 hours before returning to school to help prevent the spread of illness. Are grandparents as caregivers putting your baby at risk? Harlan Spector is a Northeast Ohio writer, editor and communications consultant. He formerly was a reporter and editor for The Plain Dealer, where he covered health and medicine for more than a decade.